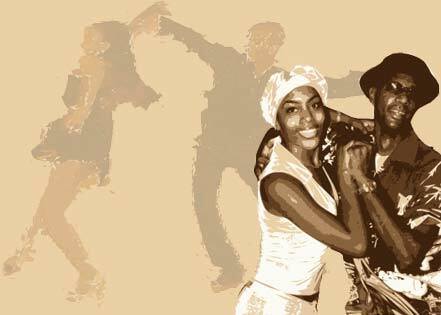 SALSA CARIBE PRODUCTIONS are London's leading promoters of authentic Cuban salsa, presenting dance classes, workshops, club nights and performances, both in the UK and in Cuba. Our dance teachers, performers and DJ are amongst the most experienced and highly regarded in the UK. Anyone wishing to experience real Cuban salsa, will want to check out our regular weekly dance classes, taught by our team of experienced, professionals and friendly dance teachers. We teach the authentic Cuban casino style of salsa, as danced in Havana and Santiago, for all levels - from absolute beginner to advanced. We also hold regular classes in la rueda de casino, Cuban popular dances - including rumba, son, mambo, cha cha cha and Afro-Cuban. Monday: the afro-cuban lounge upstairs @ the driver! Doors open at 7pm, and we kick-off with two hours of premium-quality Cuban salsa classes for all levels, followed by partying the night away to a selection of the very best Afro-Cuban salsa, timba & son. We hope you can join us, and meanwhile, please share this event, tell your friends, and help to spread the word!! 7.15 – 8.15pm: Cuban salsa beginners (level 1) & intermediate (level 3). Classes £8 for one, £11 for two. Would you appreciate a bit of individual attention? One to one dance classes will greatly accelerate your learning process & enhance your style. You may wish to improve your partner dancing technique (working on your leading & following skills), enrich your body movement, or increase your repertoire of dance rhythms, steps & moves. Or you may just want help in making that move up to the next level. Whatever your needs, your one to one session will be tailored to meet your specific requirements, so you'll be learning at your own pace - helping you to develop a real Cuban flavour to your dancing. And you'll be working with either Susan or Jim of Salsa Caribe Productions - two of the UK's most highly regarded teachers of authentic Cuban salsa. Don't forget DJ Doctor Jim 36 track Cuban salsa/timba compilation ('Beginners Guide To Timba'), on Nascente Records. 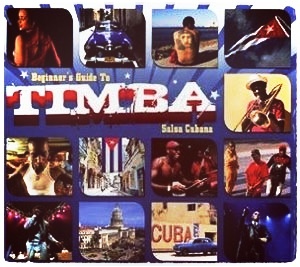 This comprehensive collection tells the story of timba from the 1990s to date, featuring all the top names, from Los Van Van to Havana D' Primera + track-by-track sleevenotes. It's available from HMV, Amazon etc, or better still, come and get your copy in person from DJ Dr Jim on Monday!